As Roger Ebert famously once said, “no movie featuring either Harry Dean Stanton or M. Emmet Walsh can be altogether bad.” How fortunate for us then that Harry Dean Stanton appeared in some 200 TV and film roles before his death at the age of 91 last month. Stanton’s first leading role wasn’t until 1984’s Paris, Texas. After expressing to friend Sam Shepard, his desire to play “something of some beauty or sensitivity”, Shepard suggested Stanton play the lead in a script he was working on. Largely silent throughout the film, Stanton’s performance as Travis Henderson is simultaneously heartbreaking and heartwarming. His tethered, weary face seems destined for a lovelorn journey film and he plays the part quietly with a sense of tragedy only enhanced by that sad, beautiful smile. The film, directed by Wim Wenders, went on to win the Palme d’Or at Cannes and received high critical acclaim. Stanton would forever refer to the film as his favorite he ever did. It’s hard not to be struck by the fact that Shepard died just two months prior to Stanton this year. For many, Paris, Texas was the favorite Stanton performance. 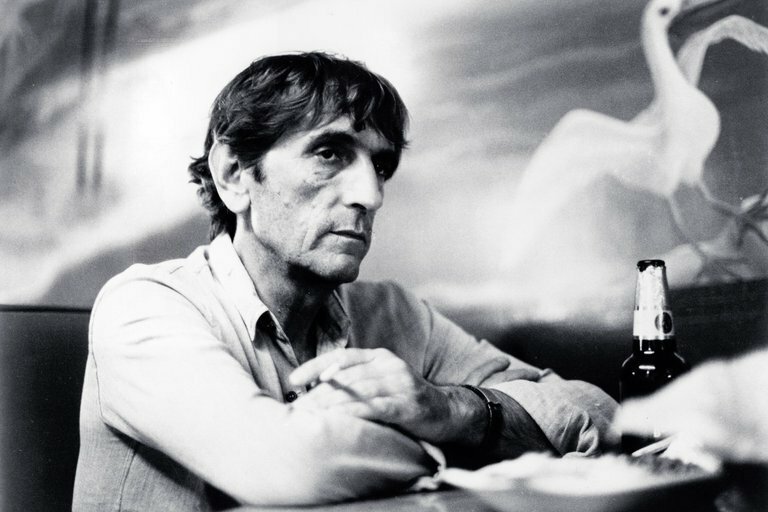 But everybody has a favorite Harry Dean Stanton. For some, it’s his doomed “Here Kitty” scene in Alien. For others, it’s his turn as an eccentric, fast-living repossession agent in Repo Man. In tribute to Stanton, the Roxy Cinema will be screening a few of our favorites beyond his landmark film Paris, Texas. For his sweet performance as Molly Ringwald’s struggling father, check out the 80s teen classic Pretty in Pink. Or watch Stanton alongside his long-time friends Kris Kristofferson and Bob Dylan in Pat Garrett and Billy the Kid. Cool Hand Luke boasts a memorable musical performance from Stanton and Wild at Heart is just one of many films Stanton worked on with David Lynch.